Established in 2015, the Lounge collection is the inspiration of Italian architectural interior designer Simone Micheli. Working with Noken his designs take a leap in terms of aesthetics and functionality in modern bathroom design. A collection that spans all elements of bathroom sanitaryware, furniture, lighting and accessories, here’s a look at some of the latest styles and finishes from the current collection, available at Surrey Tiles. The iconic Lounge collection has added a new 120cm wall-hung furniture unit and 46cm basin. 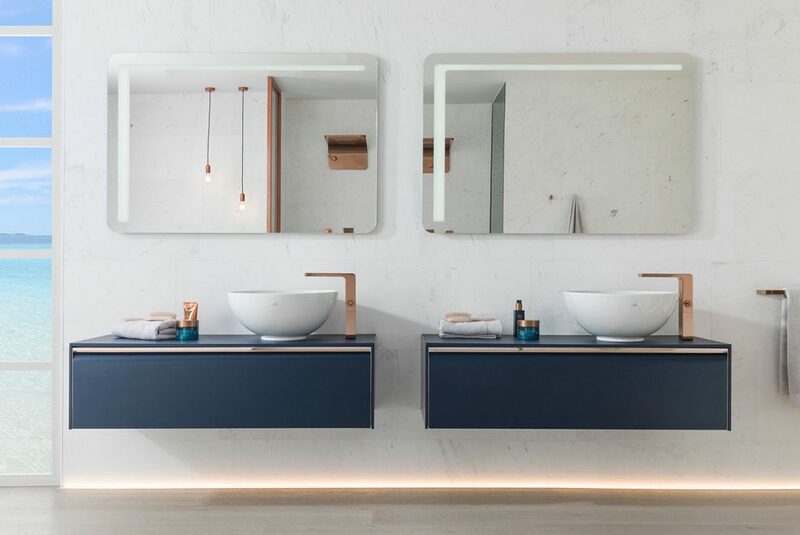 Already highlighted by its contemporary style and minimalist shapes, the rectangular wall hung unit is pushing the design boundaries further with two new colours: Azul Noche and Tortola. Not just a pretty face, the unit offers practical functionality with a large drawer for plenty of storage space, plus a large surface space adjacent to the sink. Completing this lounge set is the basin. Its thin edge allows for the basin to be integrated into the set, respecting the balance and harmony of the whole space. The perfect complement for the Lounge bathroom furniture are the taps from the collection. 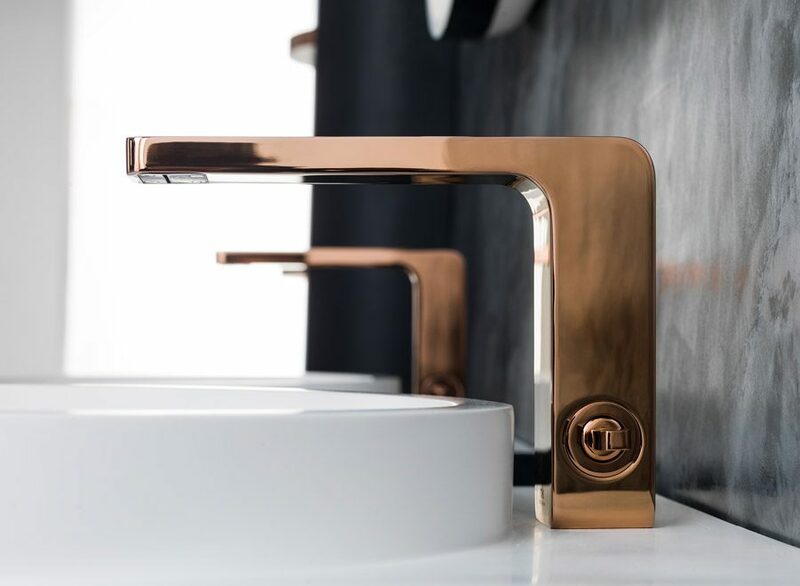 Both the Azul Noche and the Tortola versions are ideally complemented with any of the four taps finishes: chrome, titanium, white gloss and copper – combining straight and rounded corners that act as the hallmark of this collection. The 120cmx60cm Lounge mirror presents the same synonymous aesthetic lines. 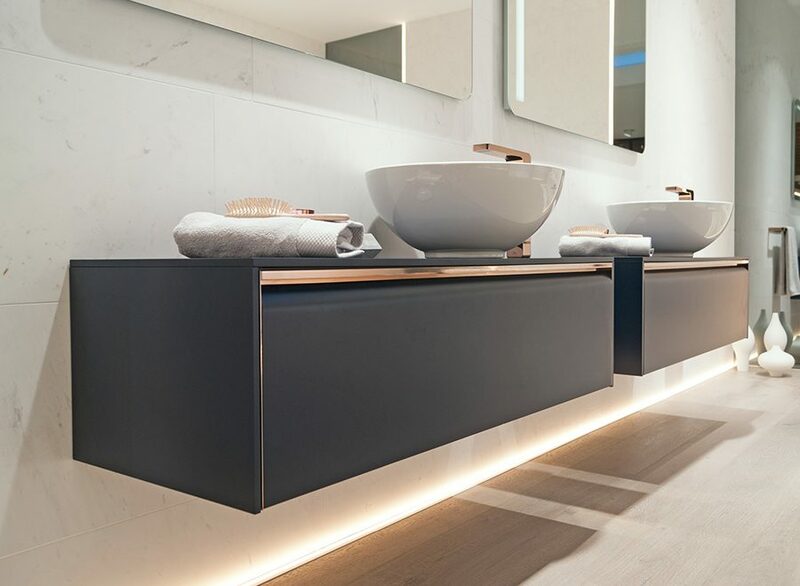 The indirect lighting incorporated at the lower and upper levels of the mirror adds practicality and an atmospheric style, with the addition of strip lighting for both function and decoration. The whole set acquires a special timeless beauty by being framed by a natural marble wall tile, something like the Persian White by L’Antic Colonial. 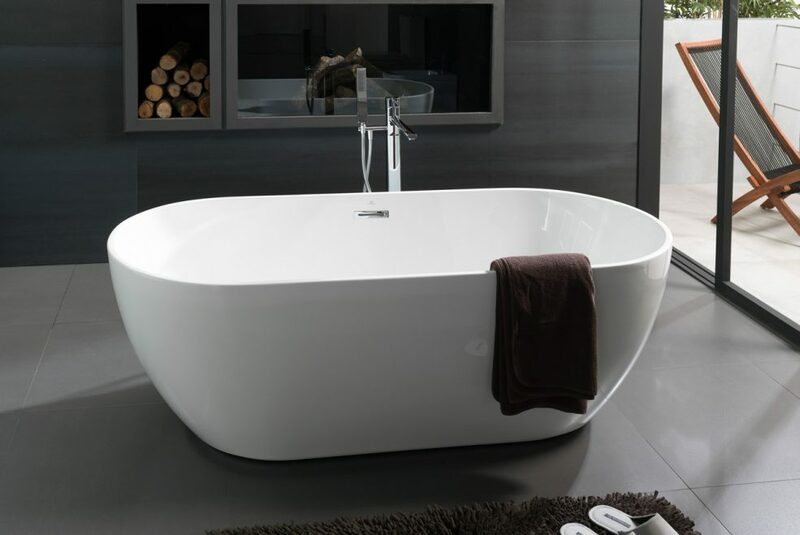 The Lounge series presents two freestanding bathtub models; a round-shaped model and a square-format model with rounded edges. The first model offers both depth and a subtle curved and dynamic design. A stand out addition to any bathroom. An ergonomic back adds to the bathing experience. 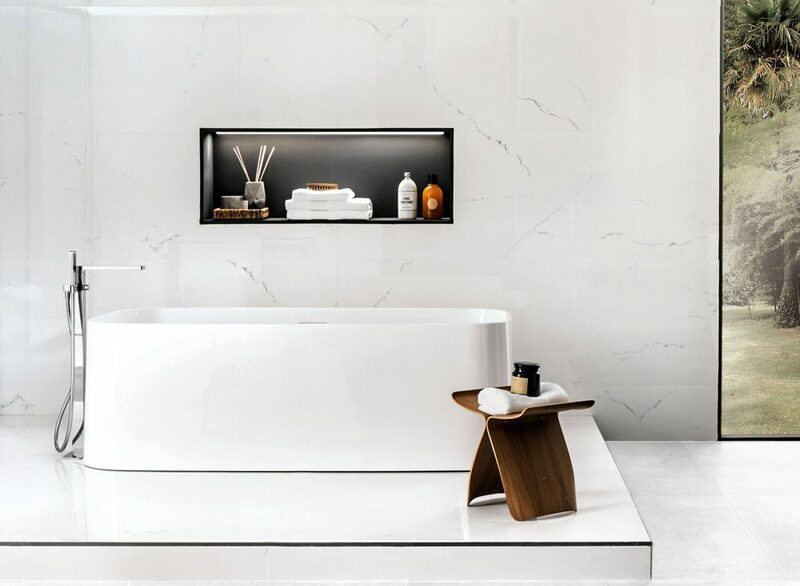 While the square-format freestanding bathtub is both subtle and elegant with a more geometric design. Softened by its rounded edges the interior also offers restful and deep ergonomics. 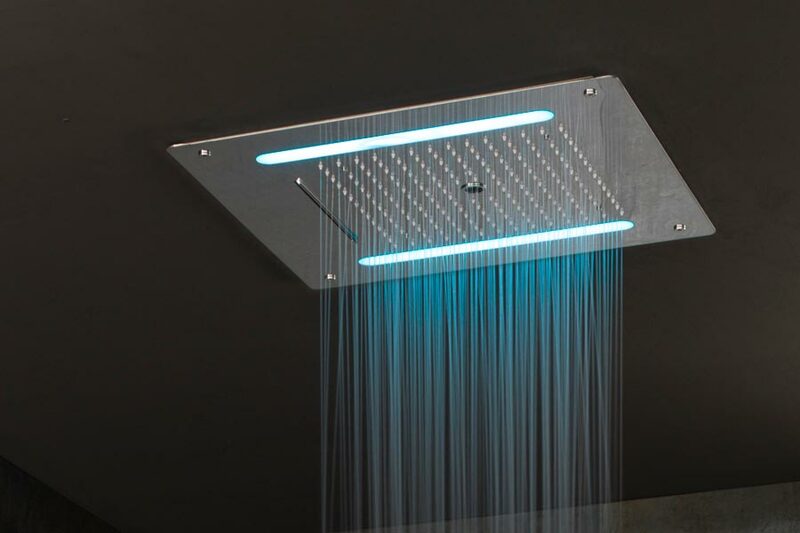 Escaping from everyday stress in the shower is now possible thanks to Lounge shower head innovation. A series of shower heads with chromotherapy combine the magic of water with different colour cycles. The goal: to adapt the bathing experience to moods and convey a positive effect on physical and emotional well-being. Thanks to these shower heads, it is now possible to convert the bathroom into a spa. 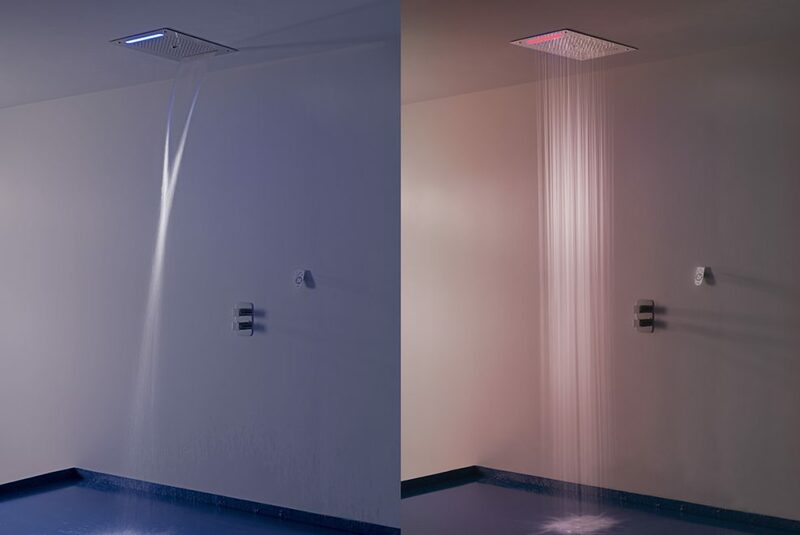 Lounge Wellness Showers add the possibility to opt for different spouts: rain, column and spray or rain, column and waterfall. The Lounge shower heads allows you to opt for sixteen different colours, using a highly functional and intuitive remote control. There are three programs available in the colour range: Energy, which stores the energy and vibrancy of warm colours; Relax, which opts for the temperance and serenity of cool colours; and Sensations, collecting the synergy of the first two. The bathroom is a place to relax, and with these beautiful collections lounging takes on a whole new meaning. Discover key Lounge styles on display in our Woking showroom. You can also view the full collection in the latest Noken Lounge brochure here.